Shows are almost sold out! Dreaming of baseball and girls, Eugene must cope with the mundane existence of his 1930’s family life in Brooklyn: formidable mother, overworked father, and his worldly older brother Stanley. Throw into the mix his widowed Aunt Blanche and her two young (but rapidly maturing) daughters and you have a recipe for Simon-style hilarity, gently embedded in a moving pre-WW2 tale. The cast of seven includes two sisters, one husband and four cousins, all living together in pre-WW2 Brooklyn. 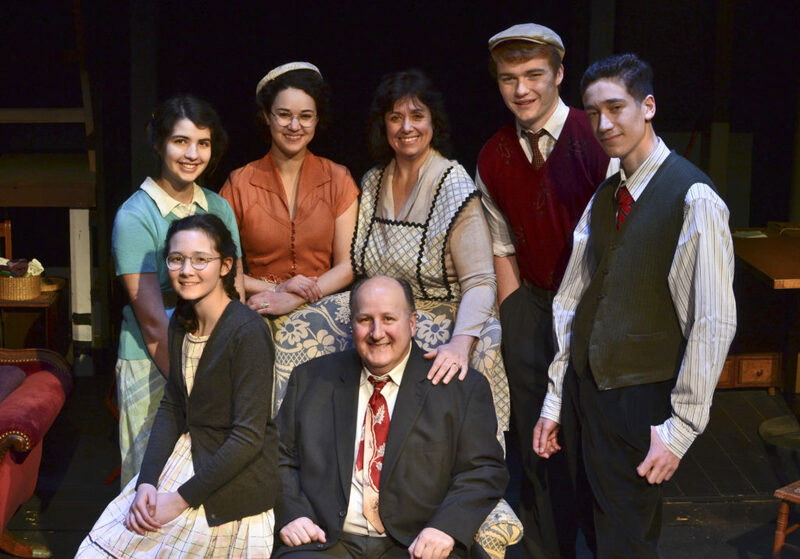 Pictured from left to right, front row: Anya Traudt as cousin Laurie, M. Carl Kaufman as the father, Jack. 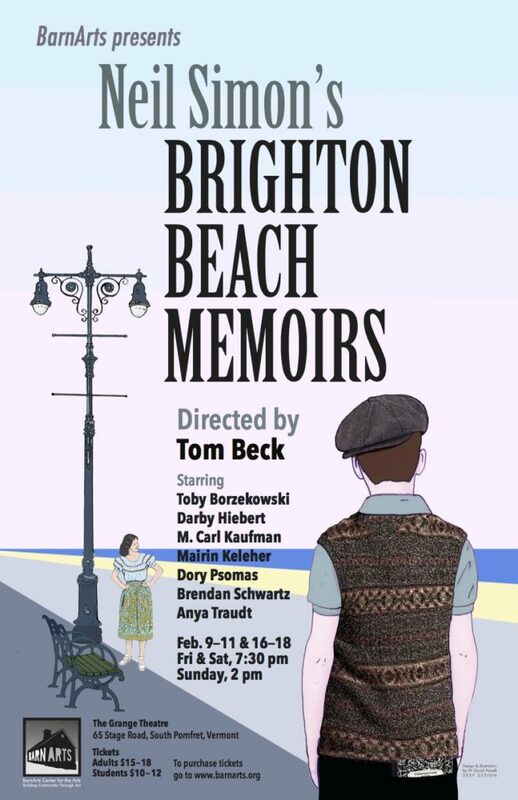 Back row: Dory Psomas as cousin Nora, Mairin Keleher as Aunt Blanche, Darby Hiebert as Kate, Brendan Schwartz as Stanley and Toby Borzekowski as the 15-year-old narrator, Eugene. Drinks and snacks are sold at the Grange Theatre by the Barnard Inn and are available before the show and during intermission.